Tony Silvagni began surfing in 1993 when his family moved down to Kure Beach, NC from Williamsport, Pennsylvania. His family fell in love with the beach and his dad brought his business, Island Tile Incorporated of installing ceramic, mosaic, and marble tile for homes on Pleasure Island. At age 5, Tony took up surfing by learning through his friend Cory Mullen. Within a few years, Tony and his older brother Andrew Silvagni began competing. Andrew was the stand out longboarder on Pleasure Island. All the local surfers looked up to his surfing ability and began to progress with their surfing by learning through him. Ashley Silvagni, Tony’s sister has always enjoyed the beach and the surfing lifestyle. Tony’s mom, Barb Silvagni always filmed Andrew and Tony to help critique their surfing from an early age. Tony started out learning on a bodyboard with his dad John Silvagni. He ended up making it to the regionals for the Eastern Surfing Association in Ocean City, Maryland for bodyboarding. 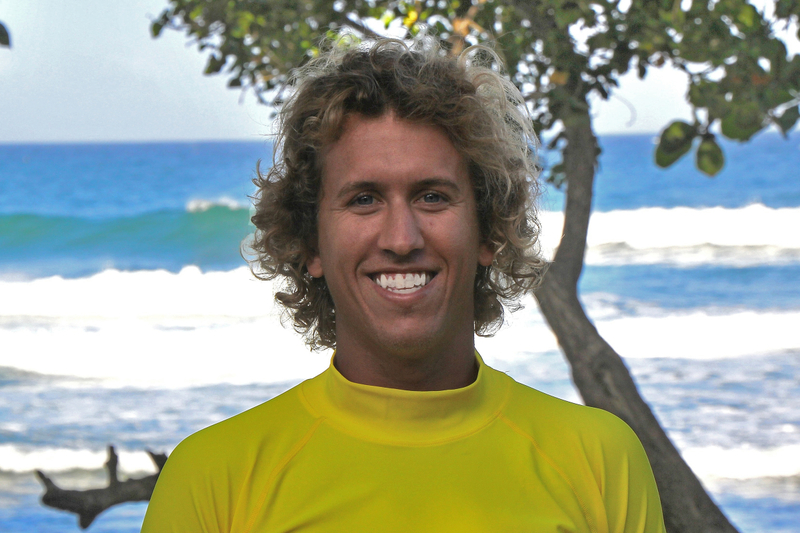 Tony was competing in shortboard, longboard and bodyboard in all the local and regional events at an early age. By age 14, Tony won the Mid- Atlantic Regional Championships in his home town at Hamlet Avenue for Jr. Longboard, Jr. Shortboard, Open Shortboard all ages, Hottest Wave Award, and Tag Team Winner for SNC. Hamlet Avenue is now where Tony Silvagni runs his year round surf school, Tony Silvagni Surf School. He owns a small shop under the Hang Ten Grill in Carolina Beach on Atlanta Avenue. This is unique as he began competing on Hamlet Avenue and Tony went to elementary school on Atlanta Avenue at Carolina Beach Elementary School. At age 28, Tony Silvagni is continuing to pursue his professional surfing career while furthering his business. He graduated from college at the University of North Carolina at Wilmington with a bachelor’s degree in business marketing at the Cameron School of Business. Tony recently traveled to Mexico, China, California and Puerto Rico. Tony just recently placed 9th overall in the world for professional longboard on the World Surfing League World Longboard Tour in Hainan, China. Tony would like to thank all of his friends, family, and sponsors Kulcha Shok Muzik, Hot Wax Surf Shop and Stewart Surfboards for all their love and support throughout the years. His main goal is to win the WSL World Longboard Title! Stay posted with all of his travels and upcoming surf contests in the near future. I would like to see more parts of the world to surf some of the best waves. My biggest goal to achieve would be to win a world title for WSL Longboard Tour. My greatest achievement is winning the ISA World Games gold medal for the world longboard champion. Achieving my college degree for a bachelor in Business Marketing while furthering my professional career sticks out to be one of my top achievements as well. Live feed especially for the World Longboard Championships and major events for a national presence. I feel satisfied when I fly to a new location where I have never surfed before and I get to perform on a new beach break, reef break, or cobble stone break. I love the feeling of surfing at a new spot with all of your friends in the lineup. I am the most satisfied when I am riding my Stewart Surfboards shaped by Bill Stewart. His boards have changed my level of surfing in the past couple years since I started riding his boards. I practice at home in Carolina Beach. I prefer to surf all over the island to test out different sand bars. 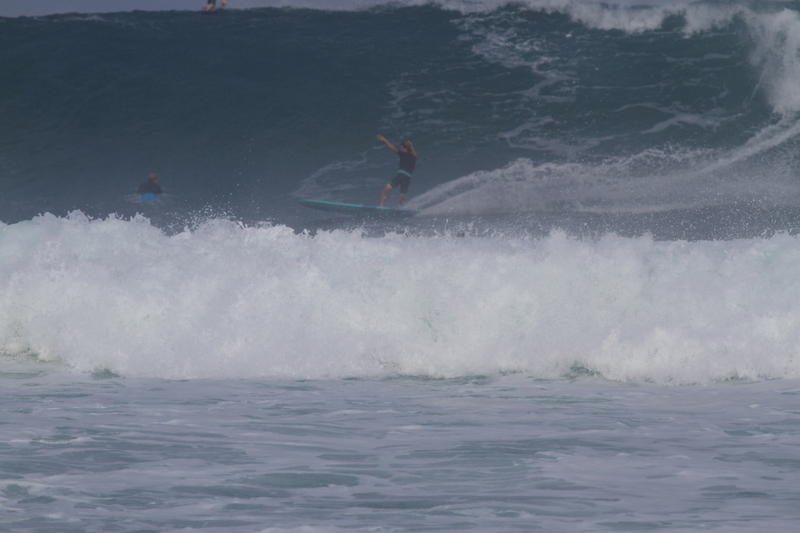 I also head down to Puerto Rico for at least a month in the winter to surf and train on fun waves with warm water. I am always working out by running my surf school of running, swimming, and doing labor intensive work. I feel this prepares me by getting strong and ready to compete. I rarely get nervous in competition. I feel after doing them for so long, the repetition makes the events come easier to compete in. My entire family and friends locally who have never given up on me. They continue to support me through competing and my business. Never give up, always follow your dreams. My future plans are to continue running my surf school business and continue competing around the globe. Come take a surf lesson at my surf school, Tony Silvagni Surf School. 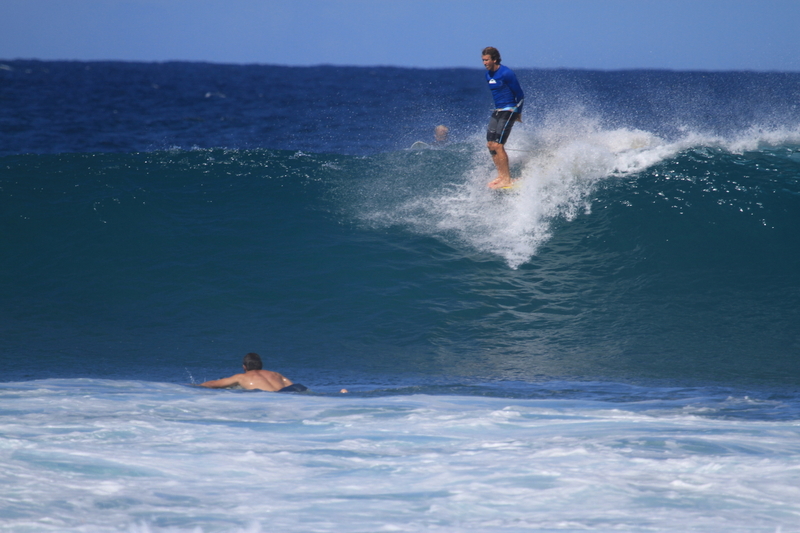 Always have fun and enjoy being in the water surfing with your friends.